Does your child, niece or nephew, grandchild or friend’s child/grandchild want to get into golf or currently play? Here we list some of the best deals on the internet at the moment for junior golf club package sets, from sets designed for 4-year-olds all the way up to 16-year-olds. We have found some great savings to be had on big brands like TaylorMade and Callaway as well as cheaper brands like Longridge, Ben Sayers and Inesis. 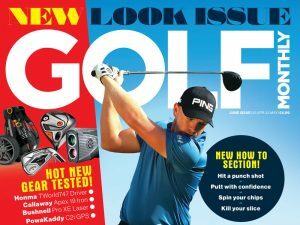 Either way, hopefully this article can help junior golfers of all ages, genders and abilities get out and play for less! Each of the products below have modest savings and all have a ‘BUY NOW’ link attached to them as well. If you click on this then we may receive a small amount of money from the retailer when you purchase the item, but this doesn’t affect the amount you pay. Includes a driver, a fairway wood, two irons, a putter, stand bag and a Rory headcover. Comes with a driver, fairway, three irons, putter and stand bag, all for under £85! Comes with 8 items – Driver, fairway, hybrid, 7 iron, 9 iron, SW, putter and stand bag! Save £15 on this Inesis golf set from Decathlon, featuring a driver (plus headcover, not pictured), 7 iron, SW, putter and stand bag. The clubs are made for 8-10-year-olds but are ideally made for children from 1.25m to 1.4m tall. Includes 4 clubs (driver, two irons, a putter and bag). Available in ages 5-8 for £65.65 and in ages 9-11 for £64.95. This set from Callaway comes in the white colour seen or blue. It features six clubs with a driver, fairway, 7 iron, 9 iron, SW and putter included as well as a bag. This set is ideal for children between 1.19m-1.35m tall. This will likely be the last set of junior clubs your son/nephew/godson/grandson will need! Designed for golfers aged 13-16, this package set comes with a 460cc driver, fairway wood, hybrid, 3 irons, a putter and stand bag. All woods and irons come with graphite shafts. Save £15 on this set from Inesis, featuring a driver (with headcover, not pictured), 7 iron, SW, a fang-style putter and stand bag. Ideally for children from 1.4m to 1.55m tall.